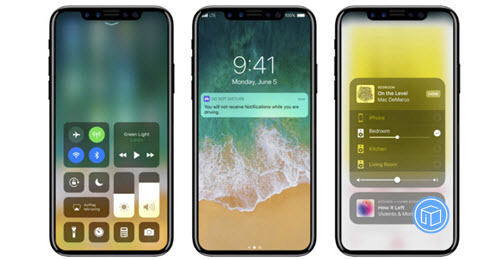 Apple has released its new OS iOS 11 and most people have updated to iOS 11 to experience new features. After update to iOS 11, I found some hidden features from iOS 11 which may not be noticed. Share them with you. Activated via the new control centre (you add it in settings), this takes a short video of your screen activity, such as if you want to show a relative how to use a feature. This feature detects if you&#39;re driving using a combination of speed and sometimes Bluetooth connections. It keeps the screen dark and shuts off all notifications to stop you being distracted. You can make your live photos loop, bounce and create a long exposure effect by dragging upward on the screen when looking at them. There are new effects in iMessage. Echo, which is pictured, repeats your message across the screen. If Siri didn’t quite hear what you said, you can now edit your commands by typing. Perhaps a little behind Google, but Siri can now translate foreign languages on the fly. This entry was posted in iOS 11, Tips and Tricks and tagged iOS 11 features by IosdroneD. Bookmark the permalink.